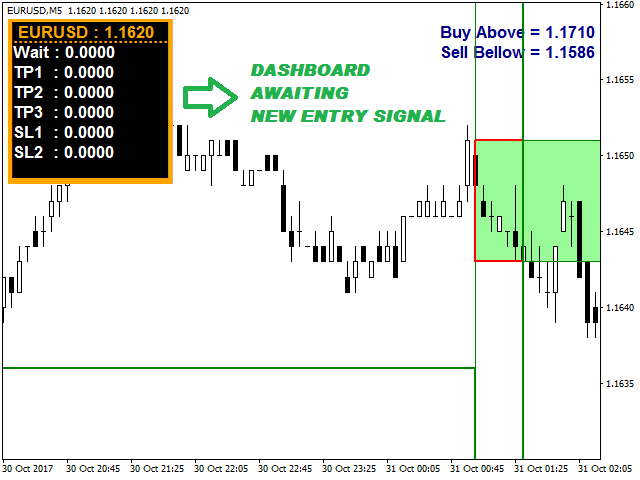 The indicator generates ENTRY signals based on the breakout of robust levels (Ranges), which are commonly used by professionals in breakout trading methods. 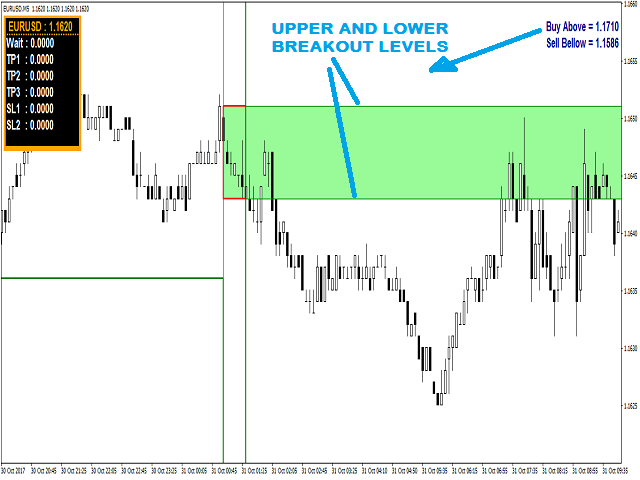 (Range) Breakout levels are based on a time-based ranges (8 Preset Ranges) or market sessions. 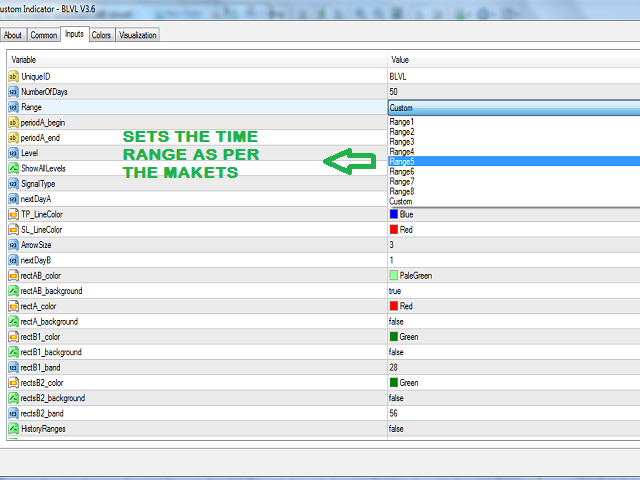 Custom Ranges can be set based on market sessions or timings. 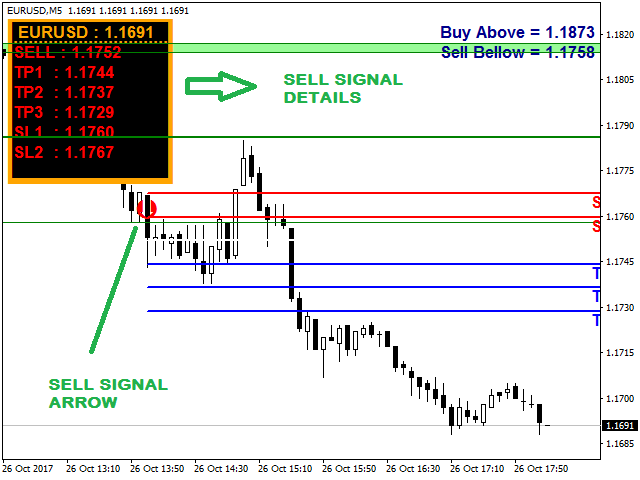 Once the range is broken, the indicator would generate buy and sell arrows displayed on the charts. 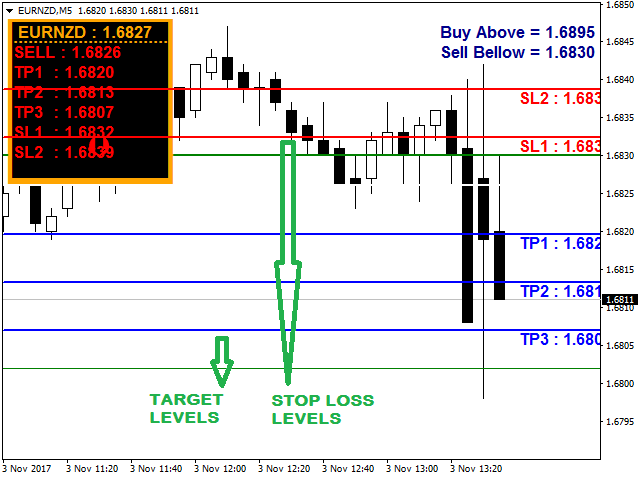 The indicator displays a dashboard showing multiple targets and stop loss applicable to the trade. 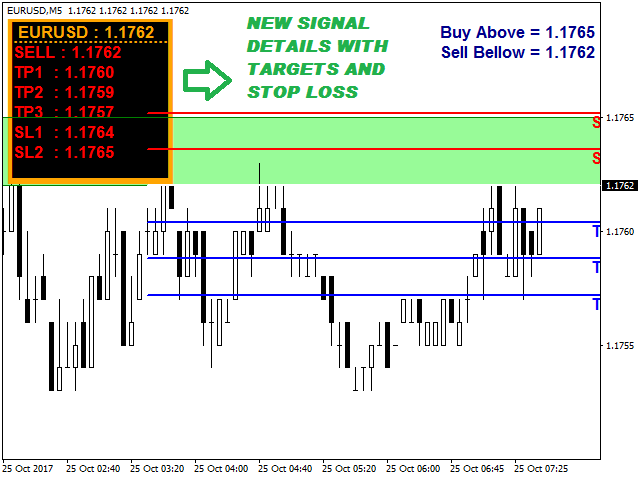 This indicator can be used for day trading or long term trading. 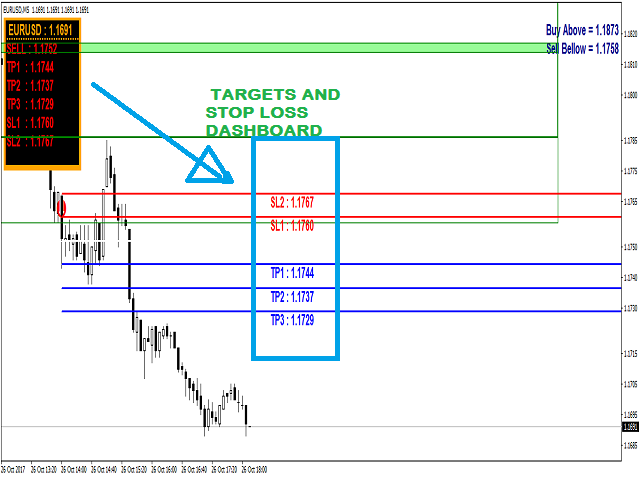 The tool identifies suitable ranges formed on the charts and helps traders to enter when there is a breakout. 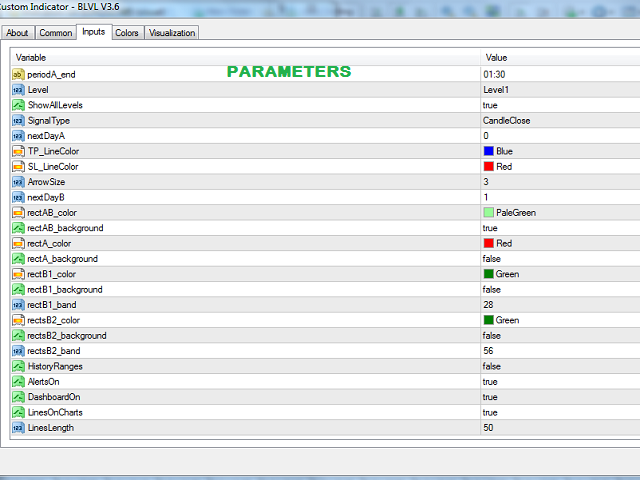 The tool has three built-in range levels that can be used - TIGHT RANGE, MEDIUM RANGE and BROAD RANGE. 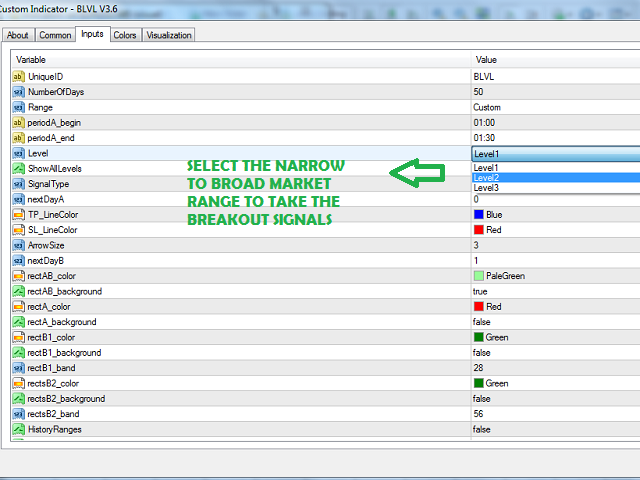 The Ranges can be traded as any other breakout strategy. 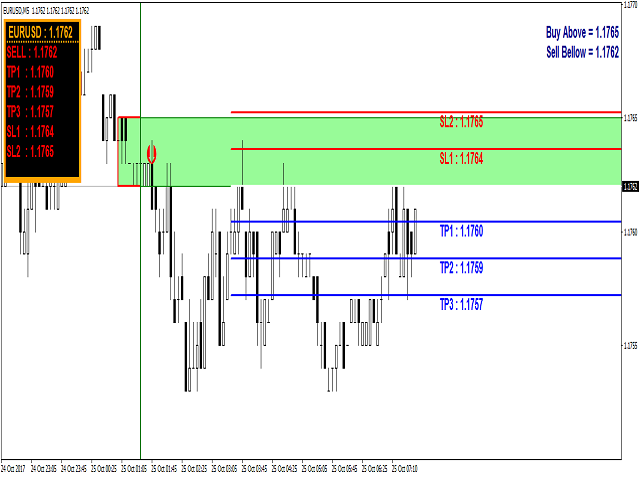 The benefit of trading the range breakout is to keep away from the whipsaw trading during slow/dull market conditions. 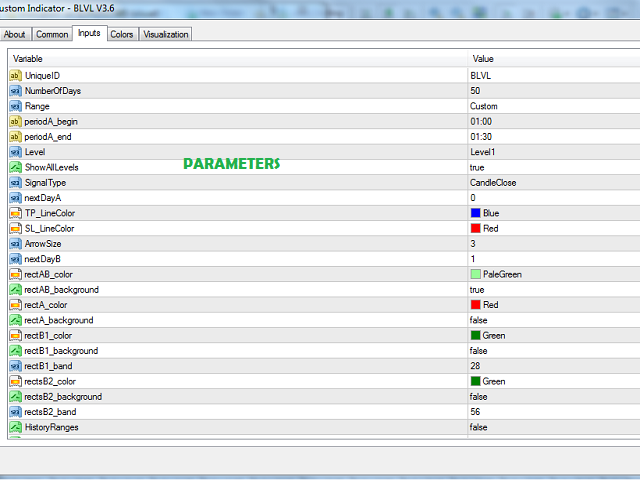 0 For Intraday = 0 - set to zero if period A_begin and period B_end are on the same day. 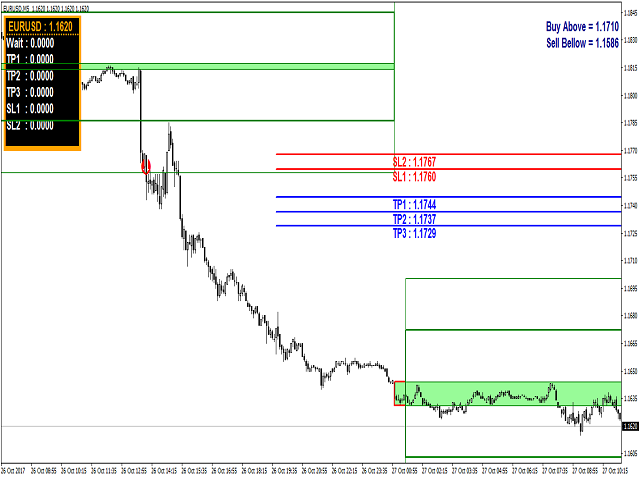 0 for Intraday = 1 - set to zero if "period A_begin "and "period B_end "are on the same day.